“American Gothic” – Episodic TV. 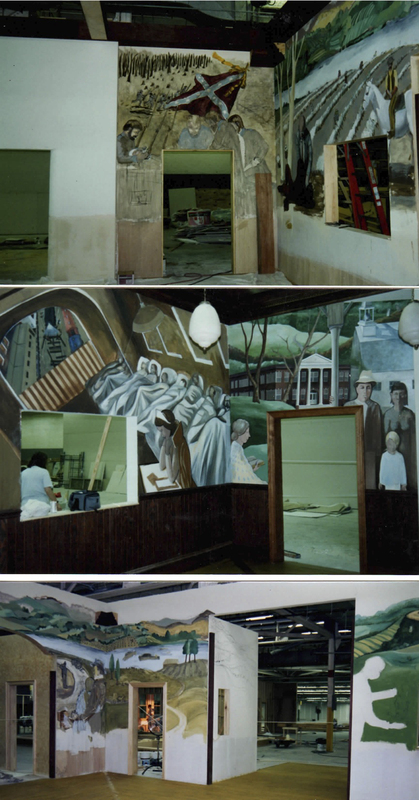 Main set murals depicting events in the history of a town where “…nothing good ever happened…”. Design and execution by Rick Mobbs. Production Designer: C.Robert Holloway. More American Gothic mural photos to follow.